Today is the last day of January. At the end of 2014, I was determined to make 2015 a much better year running. So, how did I do for the first month of the year? One of the goals I had for this year was to run at least 100 miles each month, so that I could run at least 1,200 miles this year. Thanks to a last minute effort this week, I was able to reach 80 miles for the month. This was my best week of the month, missing 25 miles by just .2 miles. The first week of the month was lousy (only 5 miles) so I was digging myself out of a hole from the get go. The last two weeks I logged 47 of the 80 miles. I’ve finally established a new routine, so it should get better from here. Now all we need to do is get that pace back down to a reasonable level. It looks like the weather in February will cooperate more than it did in January. So with perseverance, I press on! I have several good links again this week. Check out these links on worship and worship leading. The Embrace of Musical Convergence – What if we took the best of the old, classic, and modern? 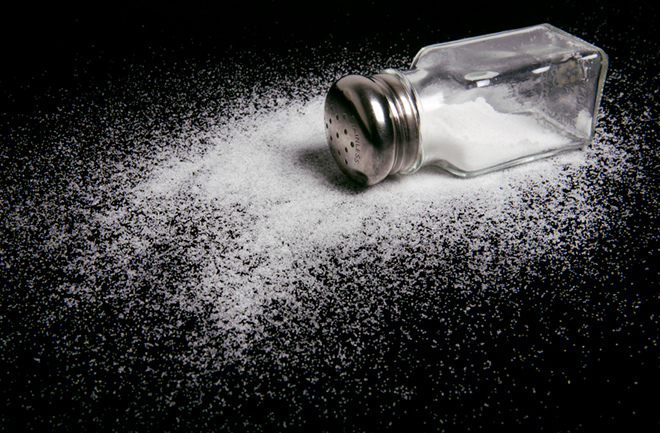 Have You Been Salty Lately? Here is a great article from The Gospel Coalition. Recently I had lunch with a new friend, whom I loved getting to know as a sister in the Lord. When you meet someone for the first time, you’re looking to learn all you can—by observing, by listening, by observing how she listens. . . .
George Müller (1805-1898) in Answers to Prayer ed. by E.C. Brooks. This is just one of those cool internet finds. Being that our theme at church yesterday was the holiness of God, I thought I would share this song called Holy Is The Lamb by the Oslo Gospel Choir.